Dedicated ice is ice that is dedicated solely to curling–no skates allowed! This means no divots from toe-picks or hockey stops and no strange ridges from the zamboni. Dedicated ice is level and should behave in a substantially more consistent fashion than arena ice (especially if the last place you curled was the Ice Palace with Lilac City–that ice ranged from super slow when freezing fog rolled off the river to dangerously slippery during the warm temperatures in spring). we’ll be able to have practice time on the ice–either included as part of the highest tier or membership or as a per-practice fee. Dedicated ice at Granite Curling Club in Seattle. Look at how pretty it is! The disadvantage is, of course, that this will cost money–but that’s the only one. We need our membership to support this capital campaign with donations and through active fundraising efforts with potential donors in our communities. If you haven’t completed the survey sent out in the previous newsletter please take the time to do so. 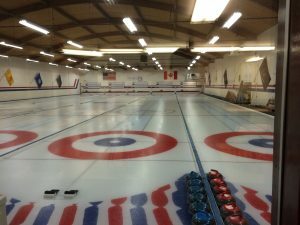 Please reach out to the Board for more info about how you can help make dedicated ice a reality for Inland Northwest Curling Club. this article What is “dedicated ice”? I will be moving to the Coeur d’Alene area by June 2019 and am interested in your league. I presently curl at the Denver Curling Club and in the past curled in Alberta Canada for 15 years. I was interested in what you believe your timeline looks like for dedicated ice for your curling club? I look forward to meeting you all and seeing if your league will work for me and what if anything I could contribute to your organization.